JORDAN is the #1 TOP RATED MAIN LINE REALTOR for a reason.. He prides himself on treating his clients the way he would want to be treated in a simple or complex real estate transaction. Jordan understands that in most cases buying and selling a home is THE SINGLE MOST IMPORTANT INVESTMENT a person makes. Jordan always follows the philosophy of “Diligence Defined” by providing his clients an unprecedented level of SERVICE & TRUST with exceptional attention to details, remarkable follow-up, complete transparency, honesty and integrity. 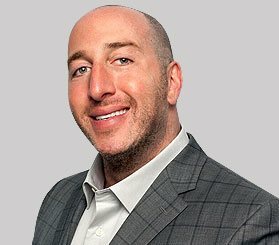 Jordan has a unique style in which he really listens to what his clients want and consistently delivers based on his superior knowledge of the marketplace, far-reaching relationships, expert negotiating skills and stellar reputation. His unparalleled professionalism and outstanding work ethic help him achieve positive results for clients by representing their best interests and building life-long relationships. - Joanna Stone, Bought a Single Family home in 2015 in Merion Station, PA.
Chip Altman, Sold a Condo home in 2016 in Bala Cynwyd, PA.
We hired Jordan to sell our house in Bala Cynwyd... Jordan is a pleasure to do business with and we can not recommend him highly enough. If you are selling a house on the Main Line, Jordan has to be your guy. Neil Seideman, Sold a Single Family home in Bala Cynwyd, PA.
Jordan is an AMAZING real estate agent! He will go above and beyond to ensure that you are fully satisfied...Sondra, a great asset to his team. I wish them both continued success! RX Hall, Bought a home in 2016 in Frazer, Paoli, PA 19355. We felt he had our best interests in mind when making recommendations...If selling again we would only go with Jordan! As far as we are concerned he's the best there is! Brooks, Sold a Single Family home in 2016 in Penn Wynne, Wynnewood, PA.
Jordan is by leaps and bounds the best agent I have ever worked with... he was always honest, .. and I'd work with him again in a heart beat as he is simply the best. Suraj Pandya, Bought a Single Family home in 2016 Narberth, PA.
Jordan Wiener is one of the most trusted and sought after real estate professionals on the Main Line and Philadelphia. He has earned a stellar reputation by expertly guiding clients through the home buying and selling process for more than 18 years. Treating clients the way he would want to be treated has resulted in not only a successful career but in the creation of long-lasting relationships. Whether it’s a simple or complex transaction, Jordan promises to provide an unparalleled level of personal service and to always advocate in his client’s best interest. With his remarkable responsiveness, complete transparency, and outstanding work ethic, Jordan is a dependable partner that consistently achieves positive results for his clients.